Abby Bender is the creative force behind Built on Stilts (B.O.S) and was a co-founder and longtime Artistic Director of Triskelion Arts in Brooklyn, NY, before she relocated to the island year-round in 2016. Bender has developed 11 evening-length works and over 50 short works since 1997. Her productions have been seen in NYC and on MV at venues including The Yard, Triskelion Arts, Pathways, Built on Stilts, the Oak Bluffs Public Library, and even inside her own home. In 2014, she was named one of “The 100 Most Influential People in Brooklyn Culture” by Brooklyn Magazine. Bender has served as a moderator for APAP; participated in the inaugural BAM Professional Development Program through the DeVos Institute of Arts Management at The Kennedy Center; served on dance juries for the Department of Cultural Affairs Cultural Development Fund and Lower Manhattan Cultural Council; and has been a guest adjudicator for programs at The Tank and New Dance Alliance. DanceTheYard is comprised of professionals living on Martha’s Vineyard and in New York City, and each member has become a part of The Yard’s greater service mission: working together to present performances for the public, participating in educational residencies and dance making programs for children and adults, along with other community based events around Martha’s Vineyard. Each component of DTY’s work contributes to The Yard’s overarching mission of support for emerging choreographers through residency and financial support, dance and related arts presentations, and a commitment to arts education in the local and national communities. 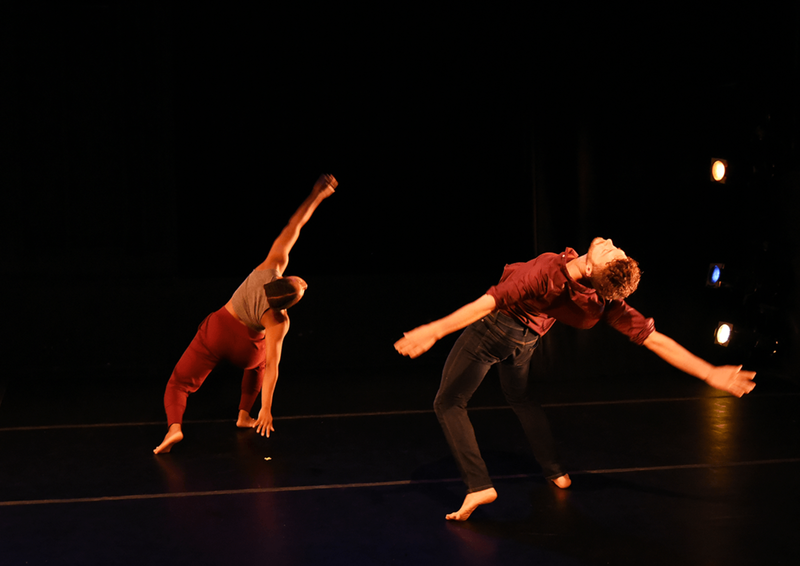 DTY’s directors have created an emerging body of work and a collective of professional artists who are committed to seeing the work presented in the local and national dance arena. Claire Page is a dancer, choreographer, and year-round MAKING IT educator at The Yard, originally from New Jersey. A graduate of The New School, Claire has appeared on stage, in television, and film, and she has presented work in and around NYC. Claire works with video, spoken word, sound, and choreography, while staying committed to fostering awareness and promoting expression through her work in dance education. Tessa Permar grew up dancing on Martha’s Vineyard. After graduating from MVRHS, she trained and performed at Vassar College, NY, in Israel under Kibbutz Contemporary Dance Co., and at the Eugene O’Neill Theatre Center. Tessa also directs musicals, including Hair in 2015, which raised over $8,000 for an MV nonprofit. Her choreography has been performed in Austria, Israel, Scotland, New York, Chicago, and Martha’s Vineyard.